The Executive Council of the Evangelical Lutheran Church in Tanzania (ELCT) has appointed Rev. Rachel John Axwesso the new Deputy Secretary General for Social Service and Women's Work replacing Rev Sabina Lumwe whose six-year term ended in December 2012. Born December 22, 1964 in Mbulu, Rev. Axwesso completed her primary education at Endoji Primary School in Dongobesh and joined Tabora Girls for 'O' level and completed High School in 1990 at the same school. Before joining the ELCT head office for her new post, Rev. Axwesso who holds a Master of Theology and a Bachelor of Divinity Degree she obtained at Tumaini University Makumira (TUMA) in 2003 and 1997 respectively; was part time tutor at Faraja Diaconic School in Hai District, Kilimanjaro Region. 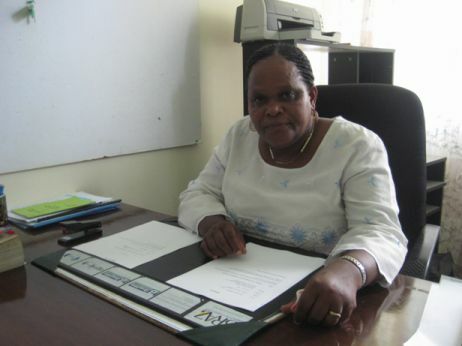 After graduating from Makumira she was ordained to become a pastor at Karatu Lutheran Church in 1998 and served in various Lutheran parishes in Hai District including Lyamungo Kati between 1998 and 2012 and from 1990 to 2001 she was Chaplain of Karatu Lutheran Hospital in Manyara Region. She is married to John Axwesso and together they have four children: three girls and a boy.